This is another beautiful set I found that I felt was worth fixing and saving. The creator's website is no longer available. The original bed had a blanket that just really did not work well, so I did remove it and made it work with EA's bedding textures. Curtains - $500 FC 4032 Left and Right Sides includes diagonals of both. 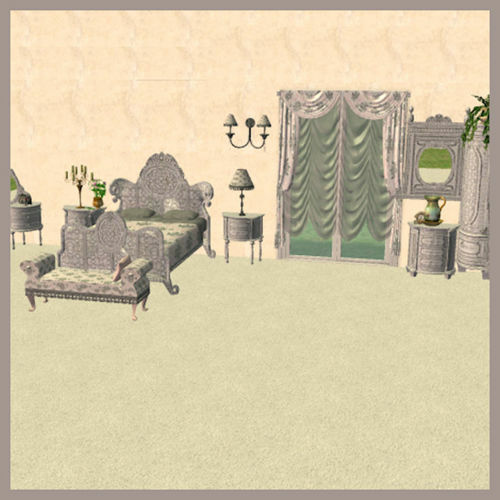 Curtains now use one texture from the Master file. Dresser - $2500 FC 2150 I added 3 new deco slots. I include two new recolors of the set.